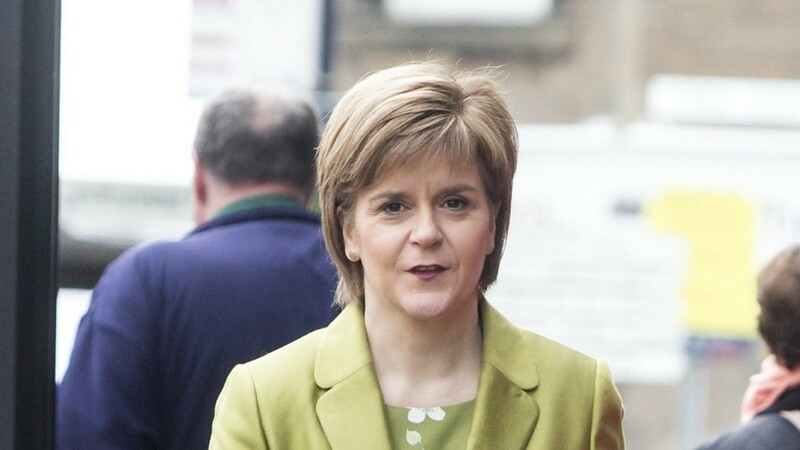 First Minister Nicola Sturgeon has this afternoon spoken at the annual anti-Trident rally in Glasgow, urging people across the UK to seize the moment of the Westminster election to block the renewal of Trident nuclear weapons. Addressing the annual CND Scotland Scrap Trident rally in Glasgow today (Saturday) Sturgeon told the crowds: “We gather here today on the eve of the most important UK election in living memory. “Never before have the establishment Westminster parties been so unpopular – and never has there been a greater opportunity to build a progressive alliance across these islands to chart a different course. “And nothing sets these two visions apart more than the nuclear weapons sitting just a few miles down the river Clyde. “One of the biggest decisions that MPs will take in the next Parliament is whether to waste £100bn on renewing these morally obscene weapons. “Broken down, that’ll be around £3 billion a year, peaking at an eye-watering £4 billion in the 2020s. “We all know that Trident is morally unjustifiable, but at a time when the Westminster parties are all committed to forcing yet more austerity on us after the election – Trident is economically indefensible. “Just think of what could be achieved with this money for the NHS, education or other public services – not just in Scotland, but across the UK. “The annual running costs alone would allow us to train around 20,000 police officers. Or 30,000 nurses. Or a staggering 40,000 teachers. “And the huge capital costs could be invested in things we actually need. 2,000 high schools across the UK. 2,500 Community Hospitals. Or up to 8,000 primary schools. “And that is why all of us must put the question of Trident renewal at the top of the agenda over the next few weeks. “So my message to voters in Scotland and across the UK is this. The MPs you elect next month will decide whether we renew Trident. “The choice could not be clearer – and your vote has never been more important. “You can vote to spend £100bn on a new generation of weapons of mass destruction. “Or you can vote to spend £100bn on building a fairer and more prosperous society. “I have been against nuclear weapons all of my life – indeed, I was a member of the CND before I was a member of the SNP. “I give you my cast-iron assurance SNP MPs will never support Trident – and that is why we need as many SNP MPs as possible in the House of Commons. “Future generations will never forgive us if we make the wrong choice.